Seattle, WA, August 30th, 2017 – AudioControl (audiocontrol.com), makers of innovative high-performance audio solutions for the residential, commercial and automotive markets has introduced the Maestro M5 surround preamp/processor, giving authorized dealers a high-performance solution for premium home theater projects. 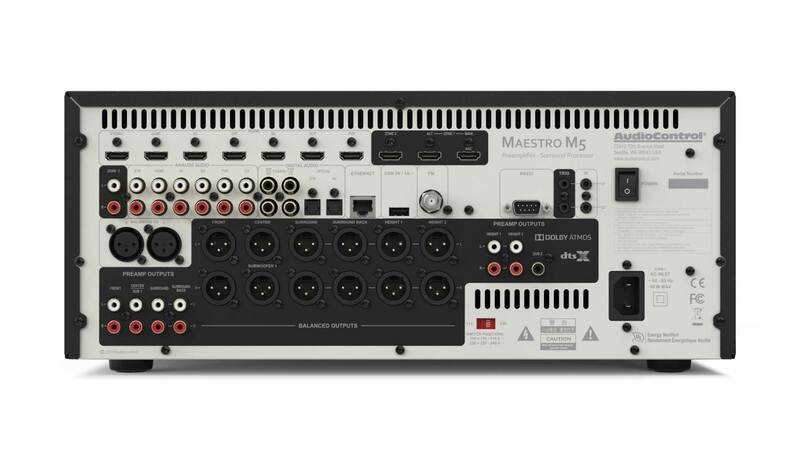 The Maestro M5 takes advantage of the latest surround formats and advanced room correction technology to deliver unparalleled clarity in any size theater. The M5 can be paired with AudioControl’s superb lineup of 7 and 5-channel Savoy G3 and Pantages G3 theater amplifiers to create the ultimate home cinema experience. In addition to the balanced XLR outputs that include the height channels for immersive formats, The M5 features unbalanced RCA outputs on all channels as well. Each input can be named and renamed to match the source unit as desired by the user, and there is a USB input on the rear panel for connecting an external source and/or for facilitating firmware updates. The M5 comes equipped with an intuitive programmable remote control and has Ethernet plus RS232 jacks and software drivers available for compatibility with popular smart home platforms. The Maestro M5 is available in an elegant Espresso Black finish and comes with AudioControl’s outstanding 5-year warranty backed by 40 years of class-leading customer service. each channel driven? M5 only 1 ?? Hi, Gordon. The M9 uses multiple Wolfson DACs, one per pair of channels, and Burr Brown line drivers on the output stage. 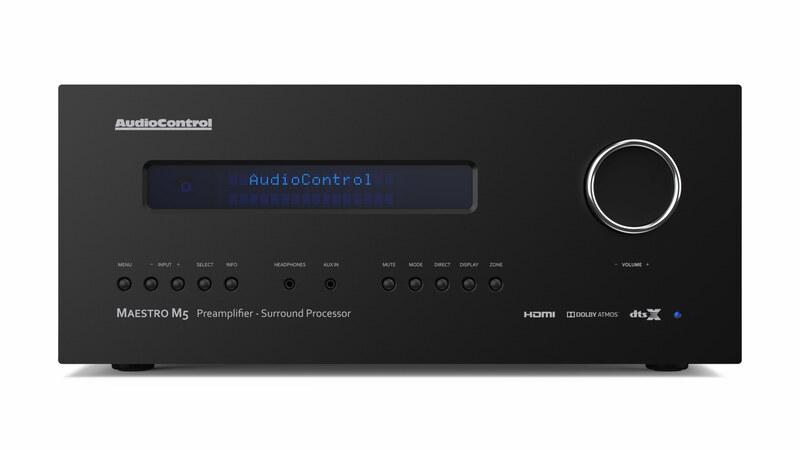 The M5 uses a Cirrus CS42528 DAC for all channels.